The Consumer Product Safety Commission has announced a recall of thousands of swimming pool motors over potential electrocution hazards. Approximately 16,000 swimming pool motors sold between September 2010 and October 2016 could shock swimmers and other pool users. Our firm is actively investigating pool shock claims from around the country, and we want to hear from you. Contact us today to learn if you are entitled to pool shock compensation. 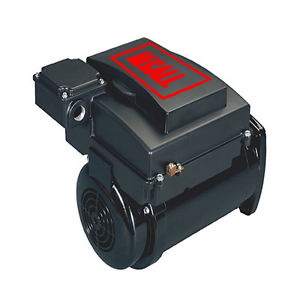 Variable speed swimming pool motors made by Nidec Motor Corporation are being recalled because the pump control covers may be not grounded properly creating the risk of pool shock. The manufacturer warns that consumers who have Emerson or EcoTech EZ variable speed pool motors that are included in the recall should stop using them immediately. Users should contact Nidec Motor Corp to schedule the repair which involves installing an external ground lead to the device. Users can determine if their swimming pool motors are involved in the recall by identifying the model number listed on a plate on the side of the pump. We are currently investigating pool shock claims from around the country. If anyone has been shocked by an Emerson or EcoTech EZ variable speed swimming pool motor, we ask that you contact us today. We have spent decades fighting for the rights of people injured by faulty and defective products and equipment and stand ready to fight for you. Contact us today to learn more about your rights.